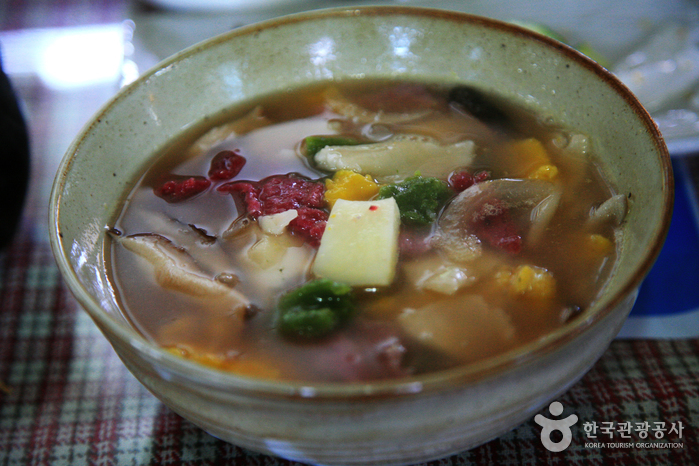 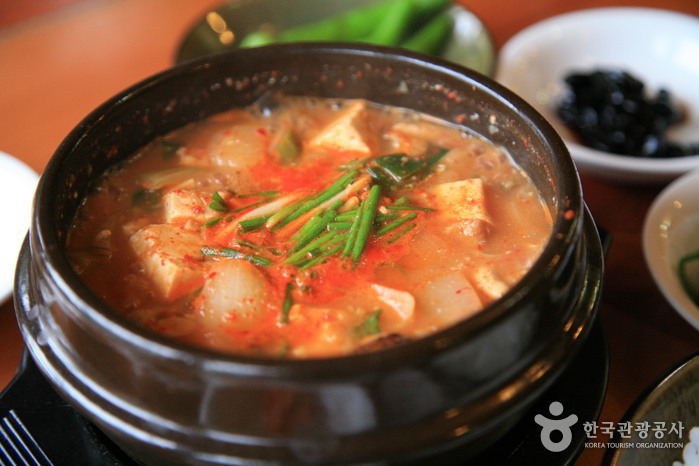 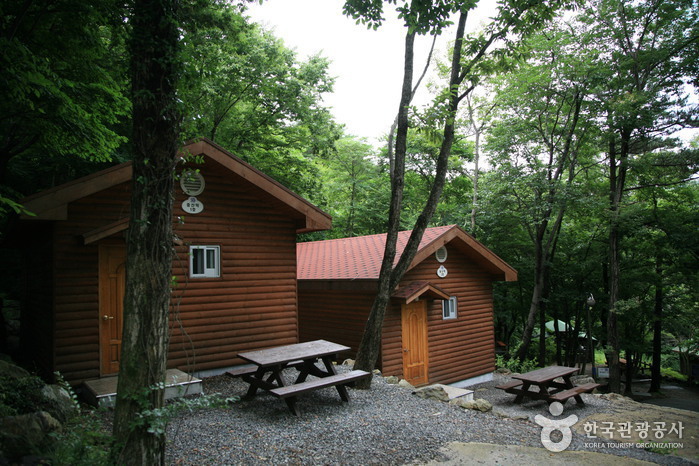 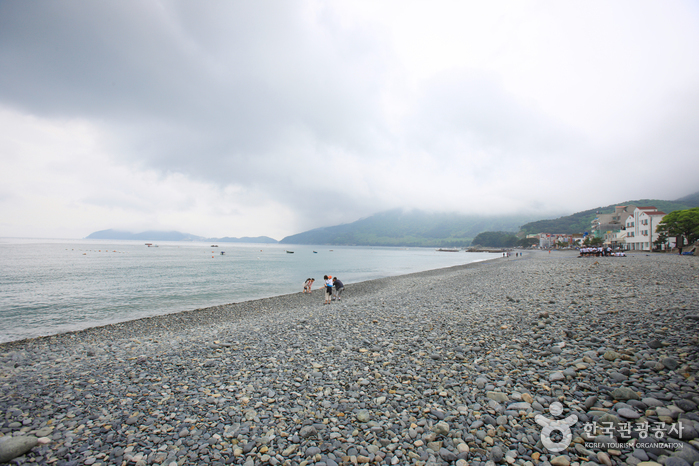 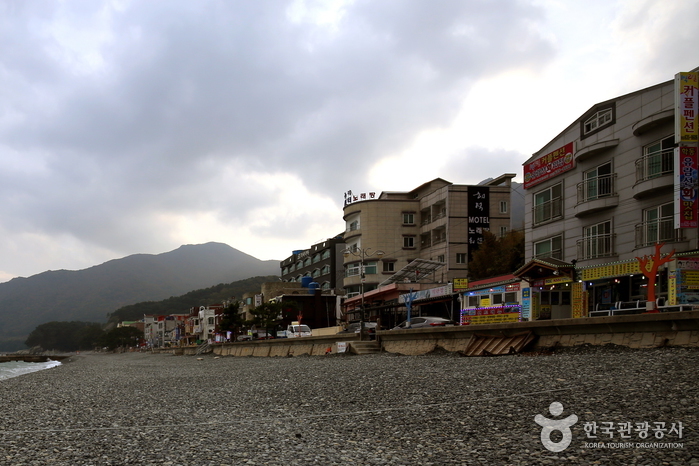 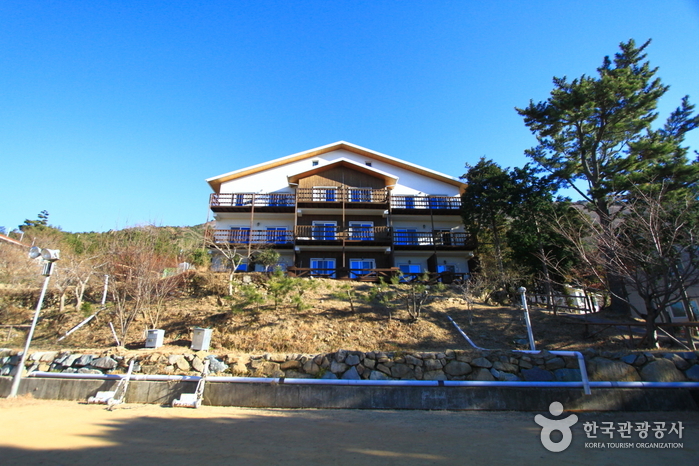 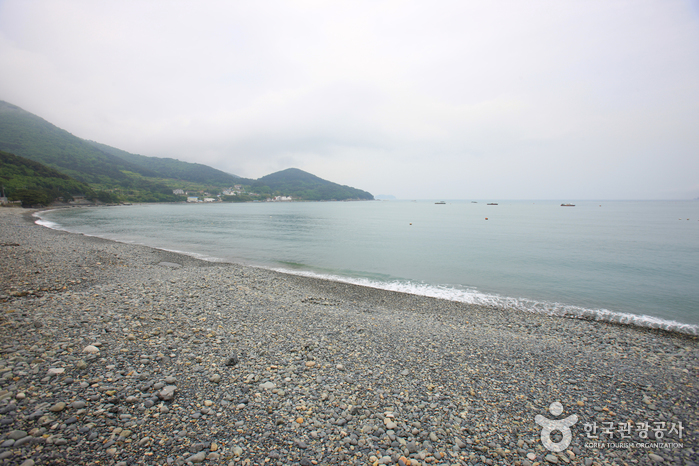 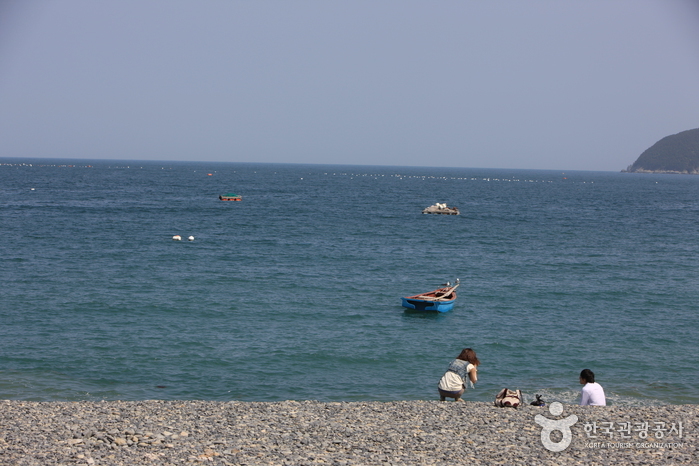 Surrounded by Nojasan Mountain and Garasan Mountain, Hakdong Mongdol Beach provides a cozy atmosphere. 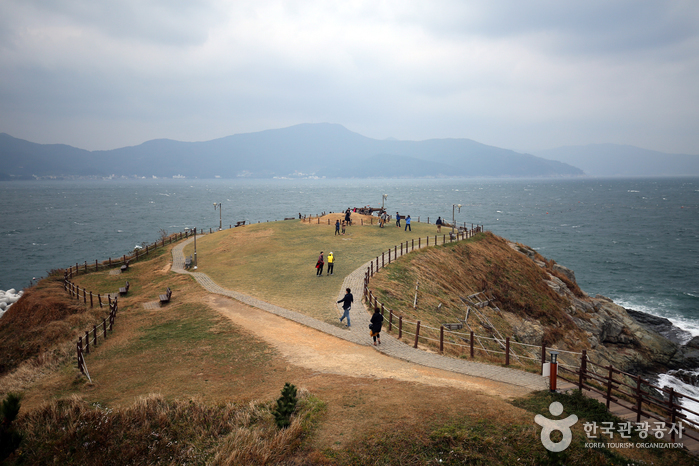 Hakdong was named so because its shape was said to be like a crane, hak, flying up to the sky. 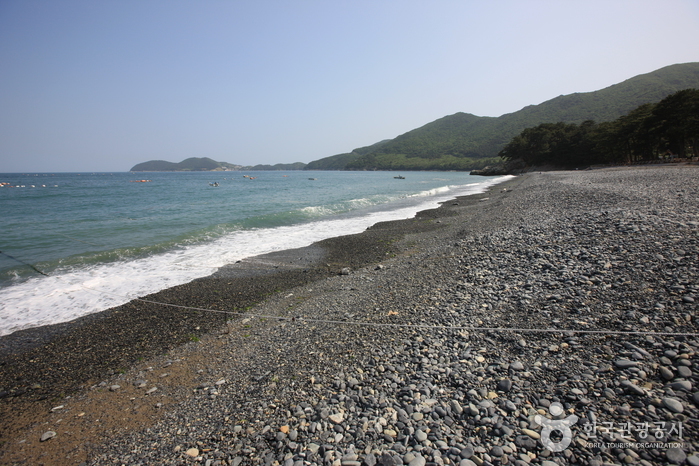 Compared to other beaches, it has small pebbles called mongdol and spans a distance of about 1.2 km, is 50 m wide and covers a 30,000 ㎢ area starting from Yongbawi Rock. 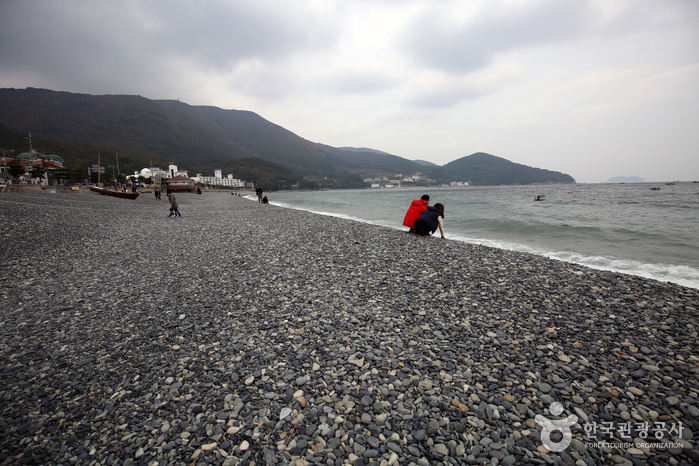 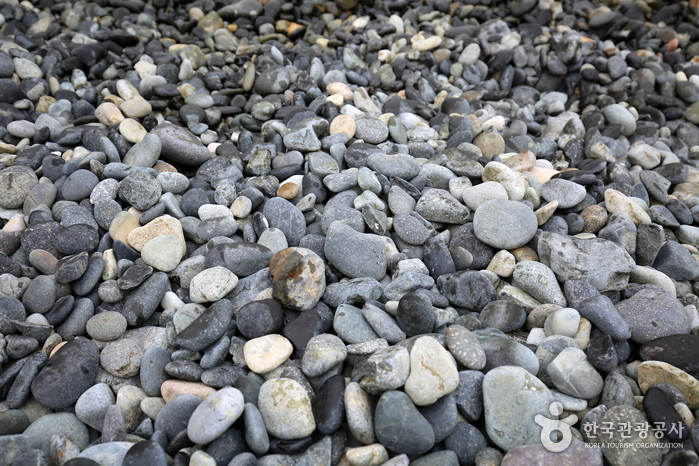 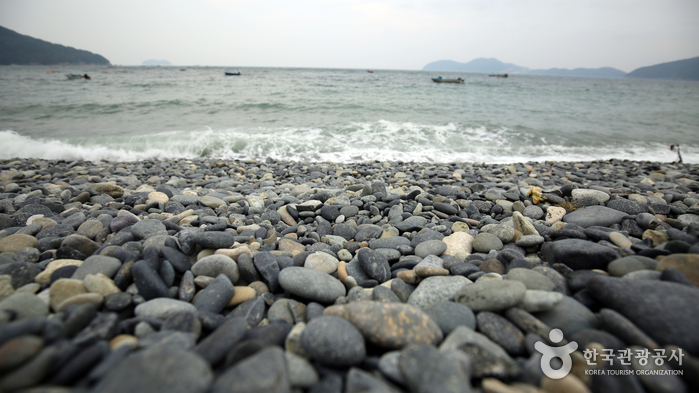 The feeling of walking on these pebbles is soothing and the sound of the waves is refreshing. 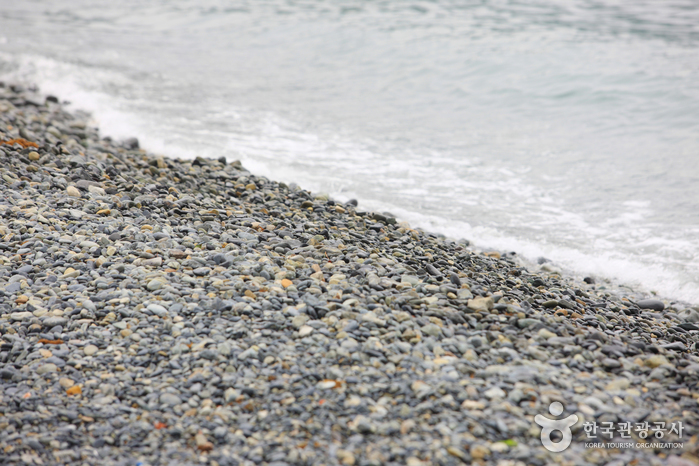 You can also soothe your feet when you walk on the rocks and activate acupressure points on the soles of your feet. 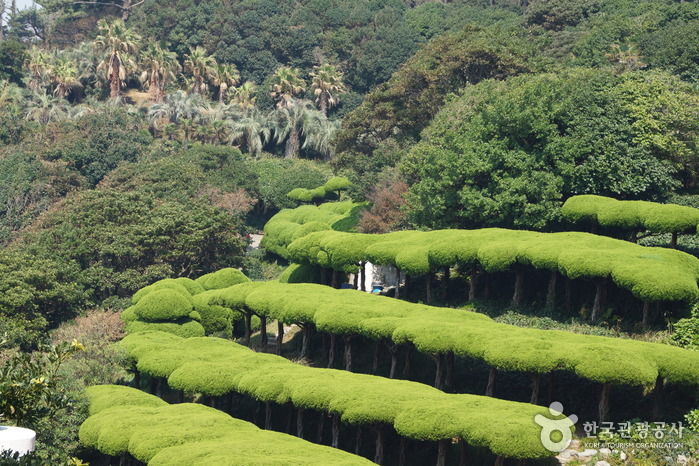 The wild camellia forest, which blooms along the seashore in February and March, creates a beautiful landscape. 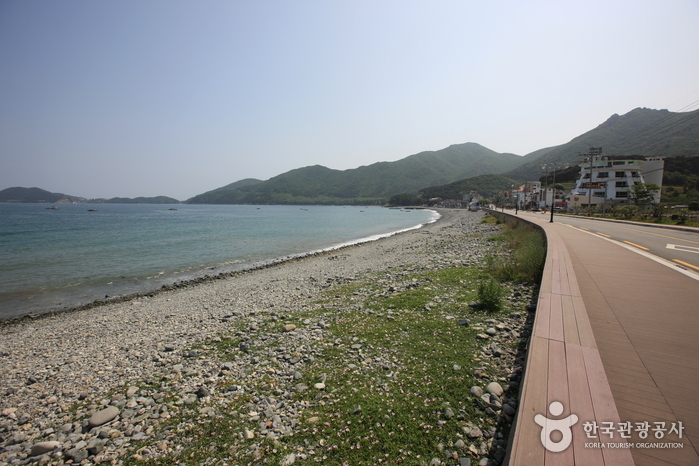 Hakdong Mongdol Beach has a lot of summer visitors and is the perfect place for vacationing families. 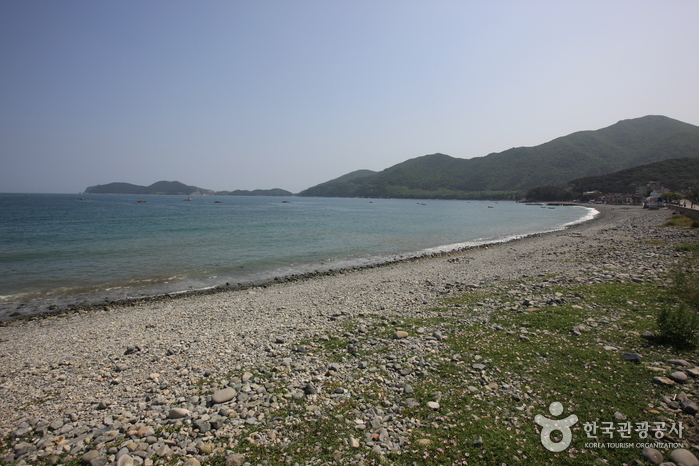 The water is clear and clean, and setting up tents on the beach is possible. 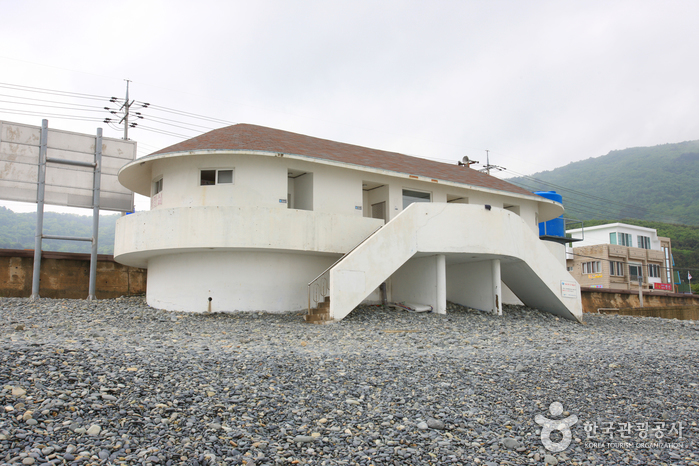 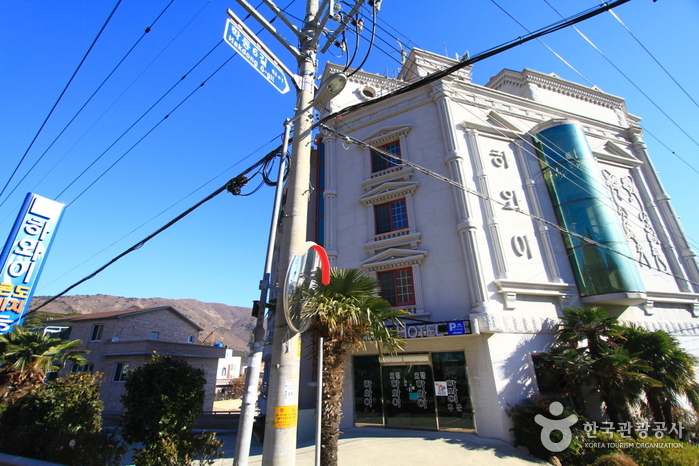 Near the beach, there are not only great restaurants specializing in sliced raw fish, but also restrooms and homestays which are well-equipped. 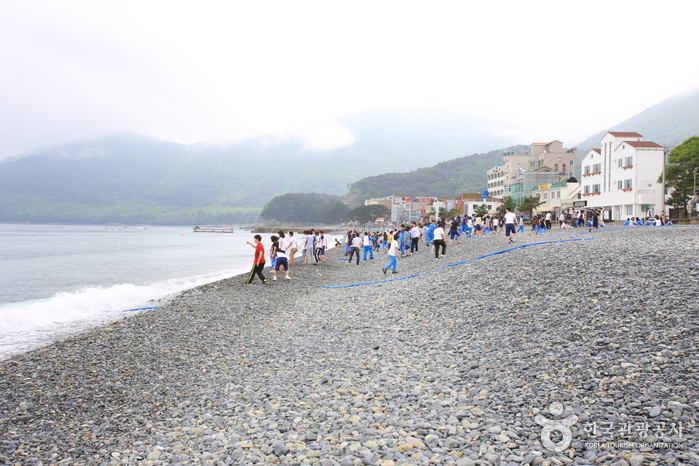 There is also a beach festival every summer. 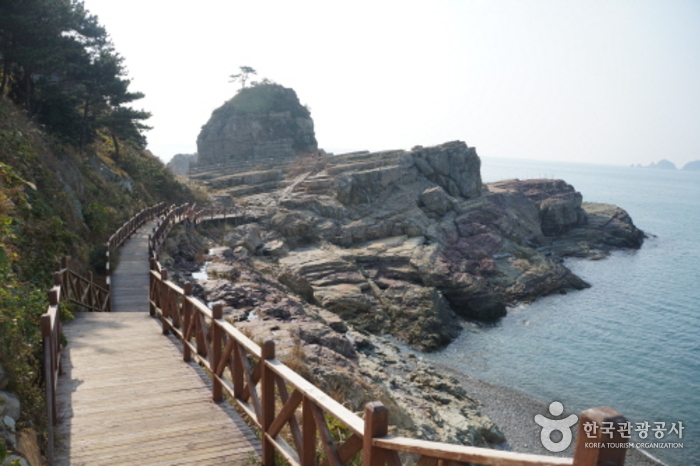 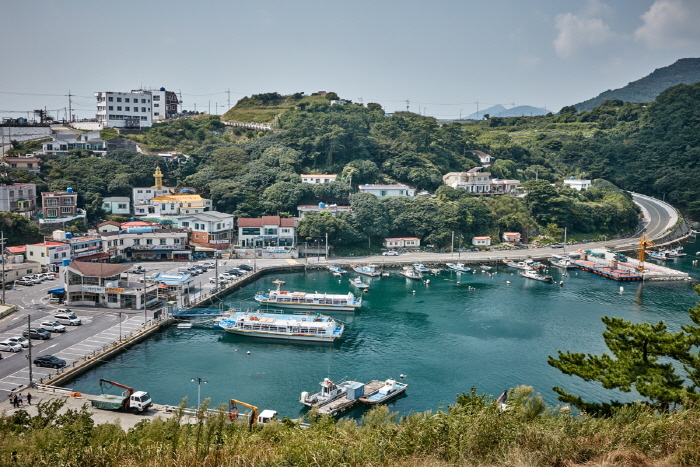 An excursion ship starts at Hakdong and cruises towards Haegeumgang River and Oedo Paridise Island. 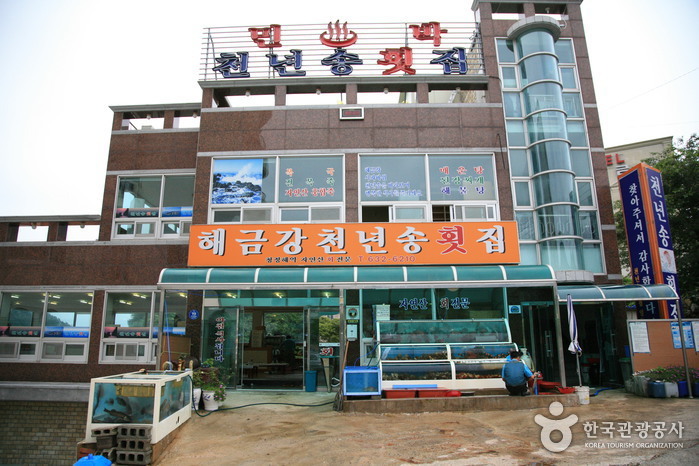 It is recommended to take this ship through the crimson Haegeumgang at sunset. 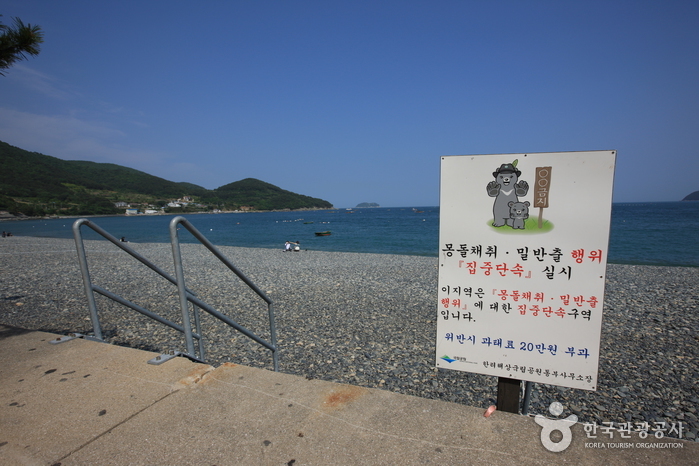 From Geojae Bus Terminal, take bus 56, 67 towards Hakdong Pebble Beach.